When I think of summer, I think of this dish. 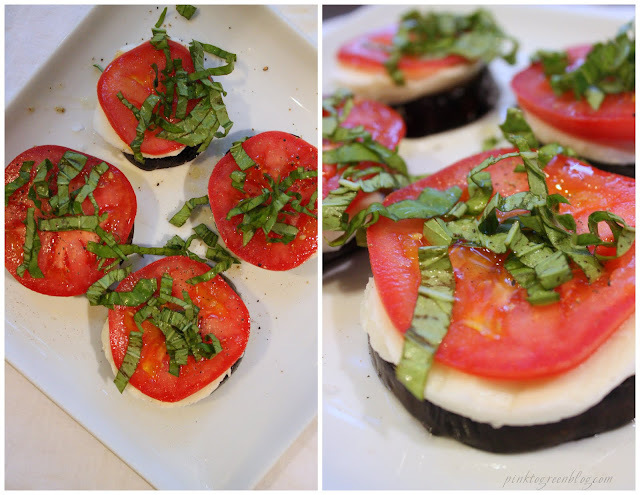 Stacks of eggplant*, fresh mozzarella, tomato and basil are a heavenly combination. Garden-y fresh, light and so pretty-- it's what I'll be eating all summer long. *Grilled or sauteed eggplant work equally well in this dish. Just remember to sprinkle with salt and let stand for about 20 minutes beforehand.